Bolstered by national attention to school reform, Teach For America will have 350 corps members in Shelby County classrooms when schools open next week. That number includes 200 first-year teachers and 150 second-year teachers, said Athena Turner, executive director of Teach For America Memphis. 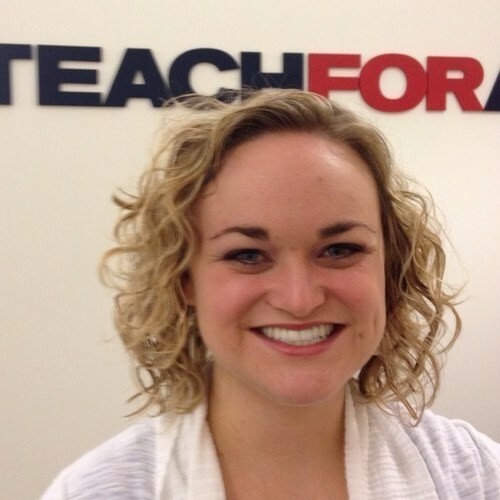 An additional 250 TFA alumni are working in the Memphis area, the majority of them in teaching positions, she said. Memphis is one of the Top Ten TFA locales in the country. "Education reform is the reason," said Turner, a member of the 2006 TFA Memphis corps. She said Memphis ranks somewhere between Number 10 and Number 20 in preferred placement for prospective corps members, behind such favorites as New York, Chicago, and San Francisco among others. The Walton Family Foundation announced this week that it is investing up to $2.7 million in Teach for America in Memphis — the first such investment in Memphis by the Arkansas-based foundation. The money will be used to recruit and train nearly 4,000 new teachers. TFA has clout in Tennessee, with alumni including Tennessee Education Commissioner Kevin Huffman and Achievement School District Superintendent Chris Barbic and a growing number of charter and non-traditional schools. For the first time, TFA Memphis did its summer training in Memphis and boarded corps members at the University of Memphis this year. "It was a good bonding experience for them and the full-time staff," said Turner. Only two corps members will be teaching in legacy Shelby County schools, one at Millington High School and one at Lucy Elementary. One corps member is placed at academic powerhouse White Station High School but is teaching in the traditional as opposed to the optional program. TFA Memphis plans to have 250 new corps members each year starting in 2014.